The Secession bees are currently located in Lower Austria. 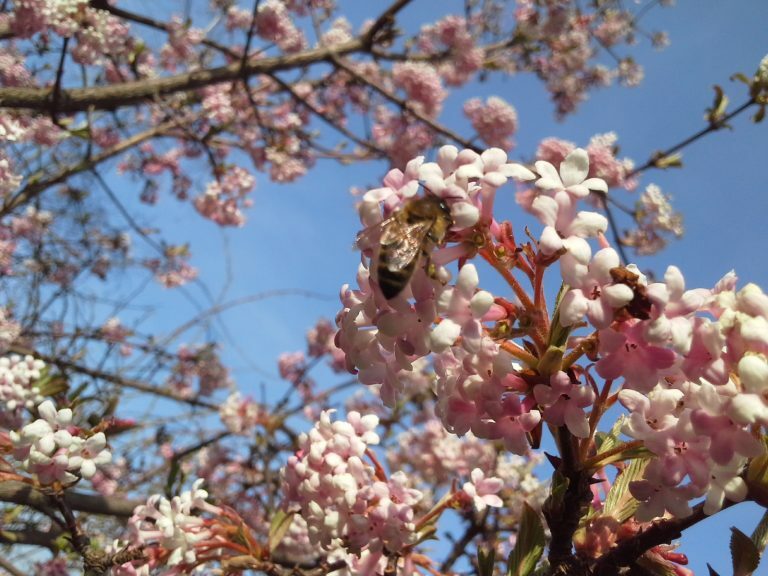 After the winter they are flying again and are looking for the first blossoms (here: Viburnum). When its getting warmer, our beekeeper will bring the beehive to the roof of the Secession!